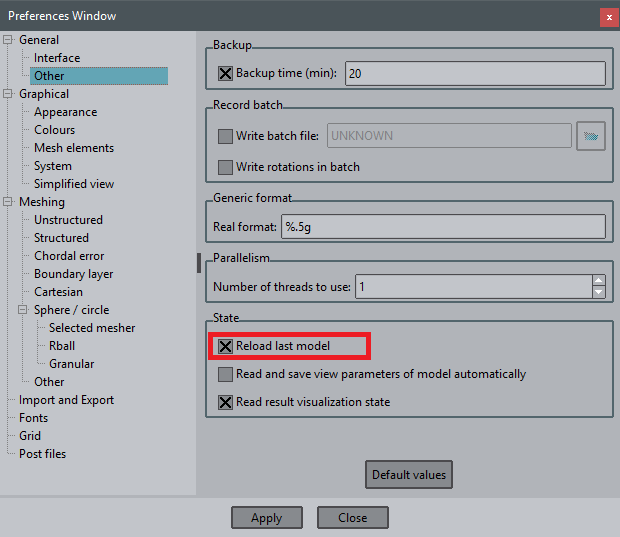 Option available to reload automatically last model used when opening GiD. This option can be activated in the preferences window. Just go from the top menu to Utilities->Preferences, select the General->Other branch and check the Reload last model option.